Ysabel Catalina is 34 years old and married. 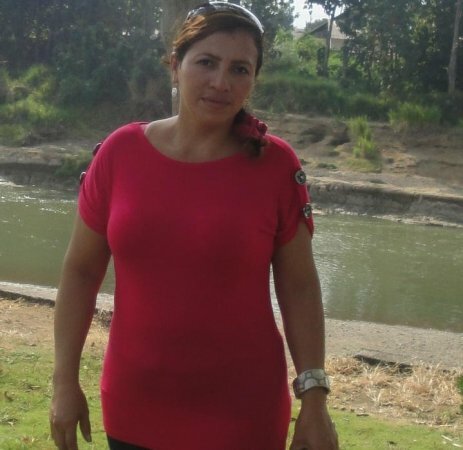 She lives with her husband and children in the canton of Ventanas in Los Ríos Province. The Communal Bank “San Francisco de Sibimbe” is located in the neighborhood of Recinto Sibimbe in the canton of Ventanas. This Communal Bank has 20 members who engage in short-cycle farming. They grow corn and rice. Ysabel Catalina is a farmer who grows corn, rice, and pigeon peas. Her purchases and sales are conducted in Ventanas every 15 days. She is requesting a loan in order to buy seeds, fertilizers, compost, urea, and insecticides. With the help of this loan, she will be able to grow her crops. Her dream is to buy a large piece of land.